Phuket is a beautiful tropical island destination, with lots of greenery and dozens of stunning beaches. You will also find a wide range of hotels around these idyllic strands, ranging from budget guesthouses up to luxurious resorts, with a lot of variety in between. At the very least, each accommodation option on our list below offers a comfortable stay. 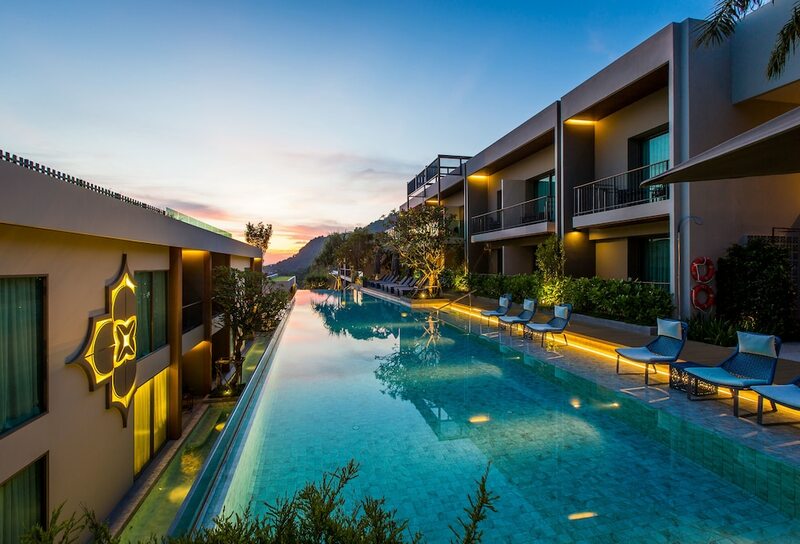 Phuket’s west coast hotels generally take advantage of the fantastic sunsets you can see there, as well as the buzzing nightlife of the popular resort towns like Patong, Kata and Kamala. Those on the east coast tend to specialise in privacy and tranquillity, offering the perfect escape from the pressures of modern life. Take a look at our hotels by location listings to decide which is right for you and where you would like to spend your Phuket vacation.